Manage a team of business development cast and support the Business Development Manager, Eastern, Western, and Central China to achieve the stated KPI(s) including admission, room night, trade marketing activities as well as other related indicators. 1.Achieve or exceed the agreed goals of admission (theme park) and room night (3 hotels) from the respective region. Create market presence in different trade channels, formulate business development initiatives which contribute to the bottom-line and review timely on the distribution efficiency of existing account portfolio. 2.Manage and lead the team of business development cast with effectiveness, and ensure each subordinate cast members achieve the agreed sales goals of admission and room night (3 hotels). 3.Support and work with Business Development Manager in managerial issues of the regional team, and deputize the Business Development Manager whenever it is required. 4.Execute all agreed sales tactics and trade marketing programs (training and education included) for ensuring maximum efficiency on resources spent. The job holder should have ample experience of travel trade operation, plus the required business acumen to identify potential area for business growth and hence prioritization on his/her job focuses. He or she should possess certain trade network in the responsible catchment area to add value to both the team and company. The person on this position should also demonstrate sufficient level of people management skills and experience to lead a business development team. 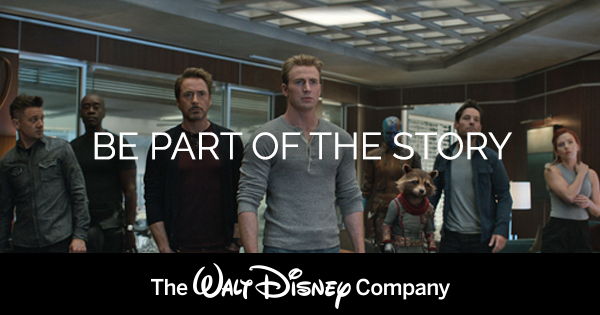 At Disney Corporate you can see how the businesses behind the Company’s powerful brands come together to create the most innovative, far-reaching and admired entertainment company in the world. As a member of a corporate team, you’ll work with world-class leaders driving the strategies that keep The Walt Disney Company at the leading edge of entertainment. See and be seen by other innovative thinkers as you enable the greatest storytellers in the world to create memories for millions of families around the globe. This position is with The Walt Disney Company (China) Limited, which is part of a business segment we call The Walt Disney Company (Corporate).